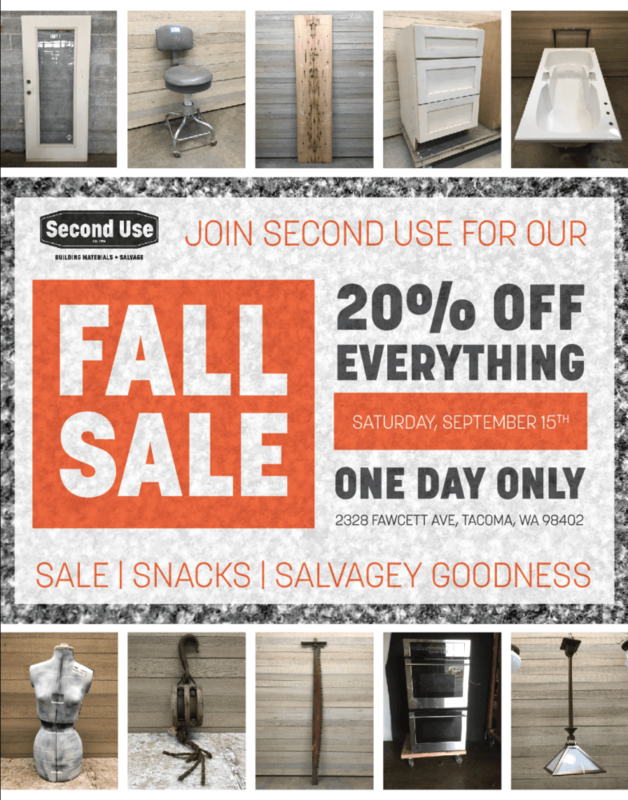 Second Use Tacoma invites you to join us Saturday, September 15th from 9-6 for our second annual Fall Sale! Absolutely everything in stock will be 20% off all day and SNACKS will be served. If sale, salvage, and snacks don’t interest you, what does? !